Pollution particles linked to serious health problems will still be well over World Health Organisation safe guidelines in every London borough in 2019, even after the introduction of the Mayor’s ultra low emission zone (ULEZ) in central London. 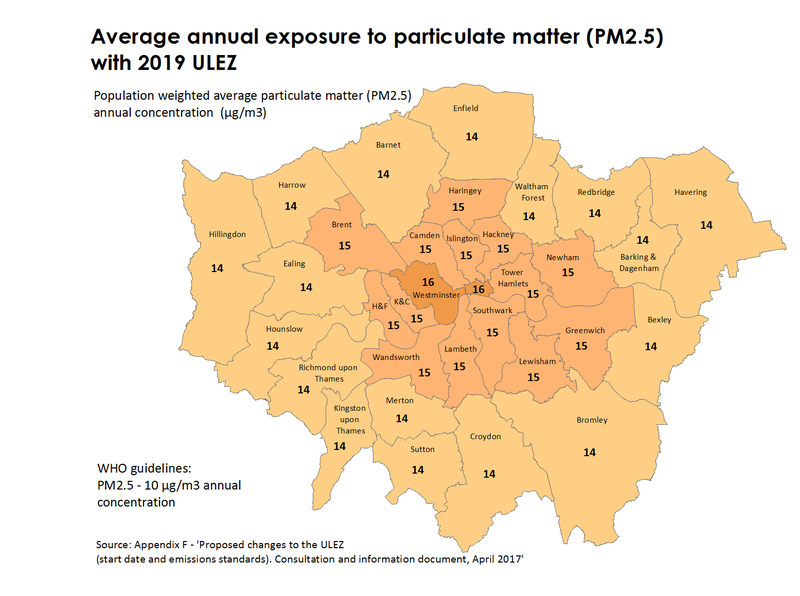 My report ‘Left Out Londoners: Why we need a fairer ULEZ’ makes the case for a ULEZ that includes ALL Londoners – not a postcode lottery for clean air. I have been asking the Mayor to extend his ULEZ to cover all of London – not just the central congestion zone – to protect all Londoners from exposure to these dangerous air-borne particles. His current consultation closes on Sunday, read my consultation response and if you agree with me you can tell the Mayor what you think here, it only takes a few minutes to complete. The WHO guidelines say that annual exposure to particulates (PM 2.5) should not exceed 10 µg/m3. However data from the Mayor’s ULEZ consultation show that even in 2019 all Londoners will be exposed to at least 14 µg/m3 – well above WHO guidelines. After the first phase of the ULEZ is brought in only one borough – Waltham Forest – will benefit from a reduction in exposure from 15 µg/m3 to 14 µg/m3. There are no known safe levels for theses lethal particles produced by diesel vehicles – they are associated with more people having to be admitted into hospital and premature deaths during pollution spikes. The current ULEZ proposals don’t go far enough as they only covers the congestion charge area, the Mayor’s own data shows the most dangerous particles are untouched by his clean air plans. I have been listening to outer Londoners who have told me worrying stories of high levels of childhood asthma and health crises brought on by pollution – they want more action from the Mayor to protect their health. 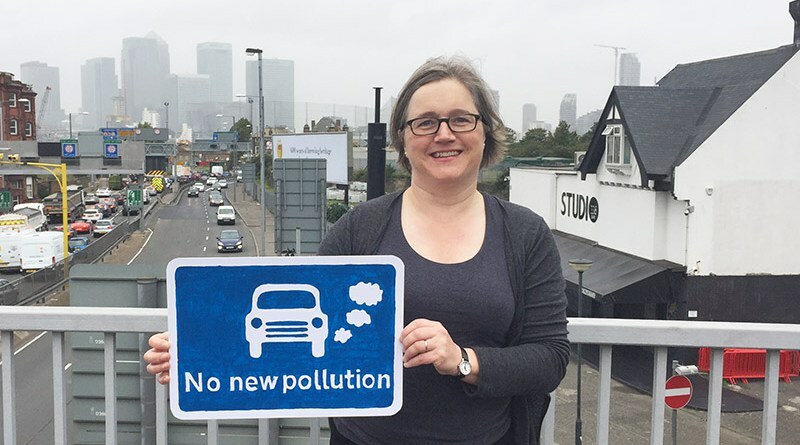 The Mayor needs to make the ULEZ London-wide so all Londoners can trust the air they breathe, invest in alternatives to driving and he must pressure the government for the promised help with a diesel scrappage scheme without delay.